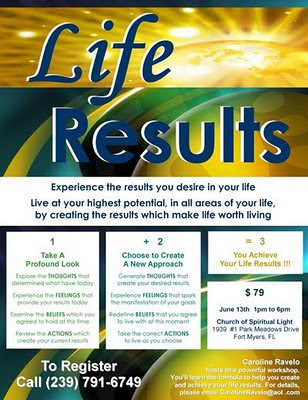 Come and learn the formula to help create and achieve the results that you want for your life. In this workshop Caroline will lead you through powerful processes that will help you get clarity on your thoughts, feelings, beliefs and actions! We've had quite a journey this year and it is difficult to believe that we are approaching the halfway mark of 2010! Time is taking on new meaning for many of us. As we move toward the new aeon that, in fact, is what will be shifting the most for us: the perception of time. We are stepping out of time. And not in some airy fairy, ungrounded way. But in a very real way, time is already beginning to lose its grip on our lives. As we move deeper and deeper into the information age, more and more people are finding and following the rhythm of their own heart and leading their lives from this space. And this place moves so quickly that it affords us the ability to SLOW DOWN and live our lives from the heart and not just the head. 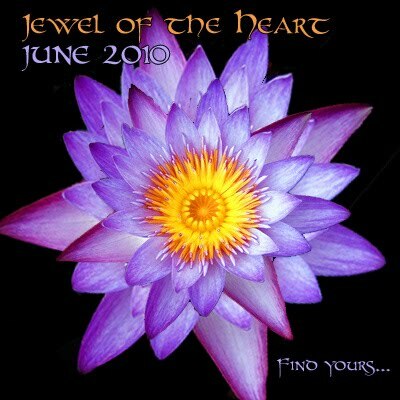 This month, June, is about accessing the Jewel of the Heart. 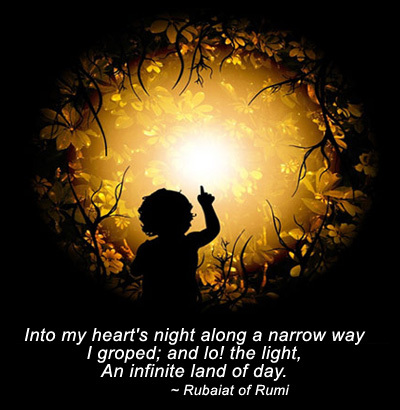 We will be exploring all the paths that lead to the discovery of this precious treasure within us all. And that path is traveled through all of our relationships. This entire month will be devoted to the exploration of all our relations, with our Self, with the world, with our creator, with our families and our significant others. June Affirmations: Feel free to print out or pick up a print out at Church of Spiritual Light! I open my heart to love. I lead with my heart and follow my bliss. I connect my head to my heart and my heart to my hands. My hands are an extension of my heart. I am one with all my relations. I see the interconnected web of all beings. I am one with the creator. My heart blossoms like a lotus. I activate my high heart energy. I am devoted to serving in the light. My heart is the gateway to my soul. I take only good things to my heart. I seek wisdom & understanding in all my relationships. I honor relationships as teachers in my life. My relationships are as mirrors to my soul. I express love in all my relations. I activate the power of love. The father lives in me. I am the Father, mother and child in one. I am a threefold being of light. I see and feel my connection to all that is. The energy of the sun is a radiant source of spiritual light & life. I experience God through my relationships. This is God’s journey – May we walk it well. I am, that I am. Church of Spiritual Light is pleased to be hosting the Buddhist Art Exhibit by Gene Salerno of Naples, Florida. The exhibit will be available for viewing through the end of the month of May. Gene is the husband of Daryl Salerno, who is an extraordinary Crystal Bowl musician. Together these two very talented people bring their beautiful artistry to the world to bring us to a space of absolute harmony and peace and abundance. You can visit their website to find out more or to purchase artwork online. Visit www.AbundantHarmony.com. 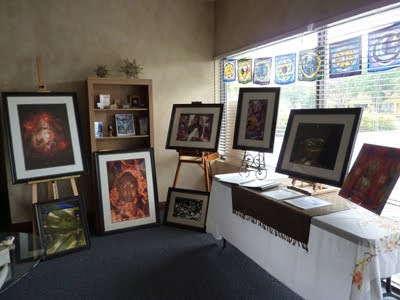 Please stop by the Church of Spiritual Light to view this lovely display of Buddhist art...just looking at them will put you at ease and fill you with grace.